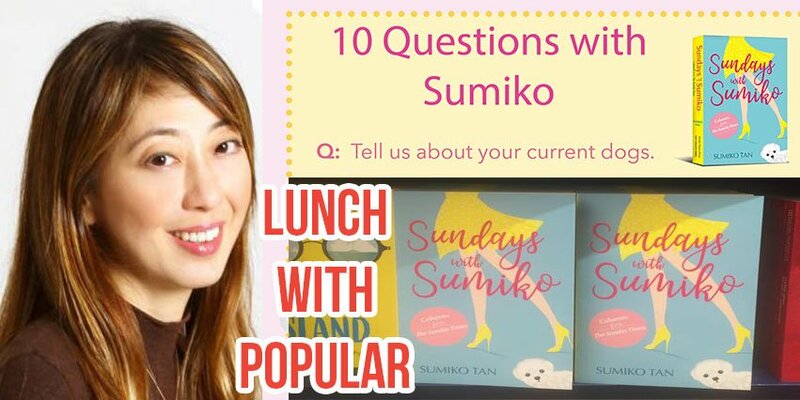 When The Straits Times’ Executive Editor Sumiko Tan stopped writing her riveting Sunday columns to focus on her Lunch With Sumiko series, we were honestly at a loss. After all, without her Sunday columns, where would we possibly look to for our dose of humour in The Sunday Times, now that even the newspaper’s comics section has been greatly reduced? 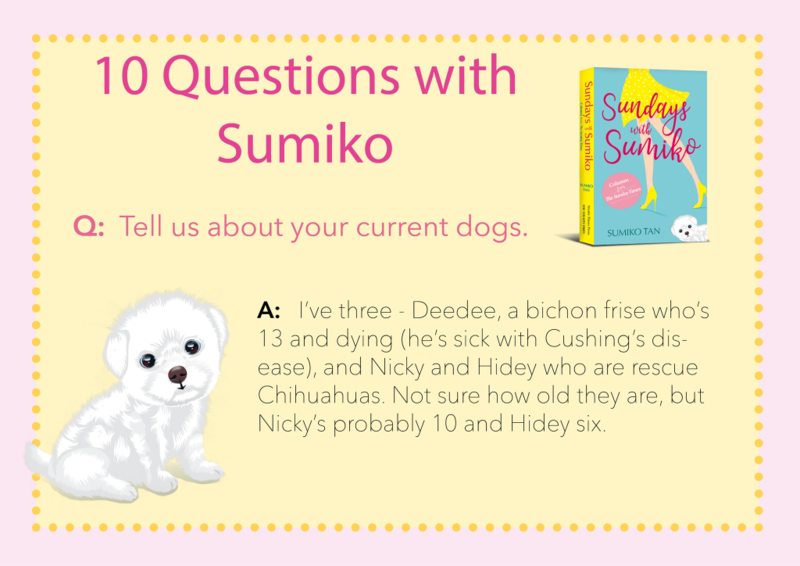 And how could this “interview series” possibly compensate for losing our Sunday dose of Sumiko? 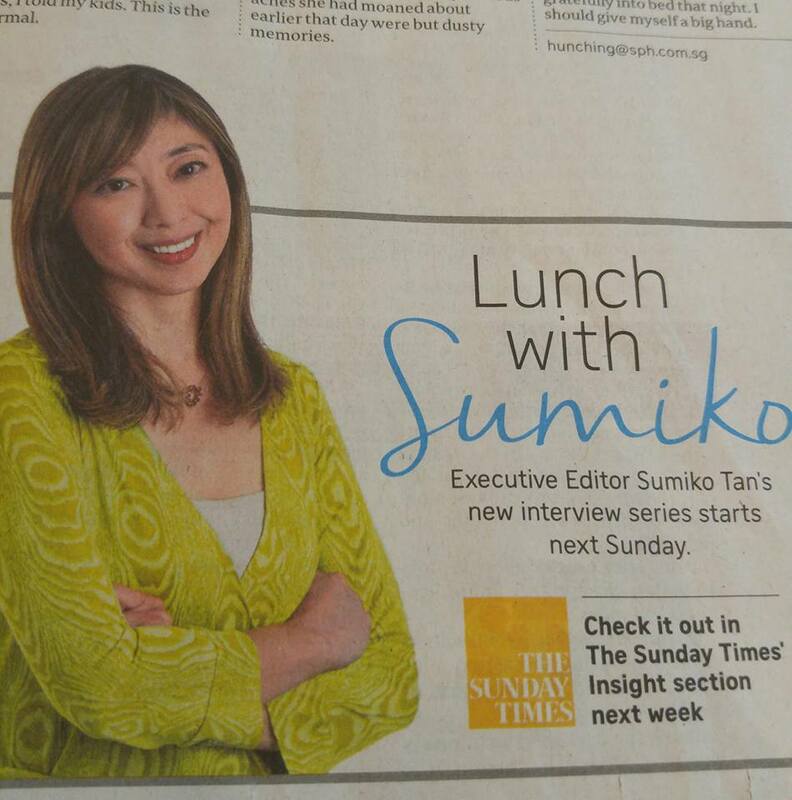 Read our story on the Lunch With Sumiko interview with Minister Ong Ye Kung and our story on the interview with designer Michael Kors. 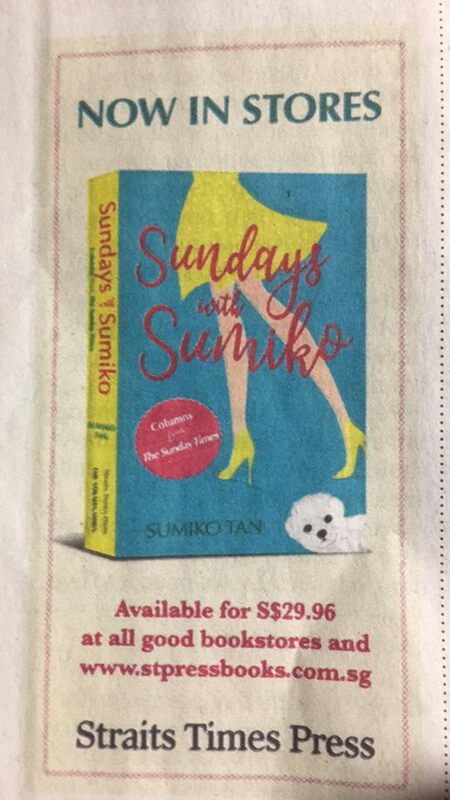 Well, those who have missed the Sunday ruminations by Ms Tan, 53, over love, life and work can now own 74 of her columns in one book — for the bargain basement price of just $29.96. Yes, Ms Tan is finally a published author of a book, and it’s about time this has happened after 22 years of churning out more than 400 pieces for the paper. 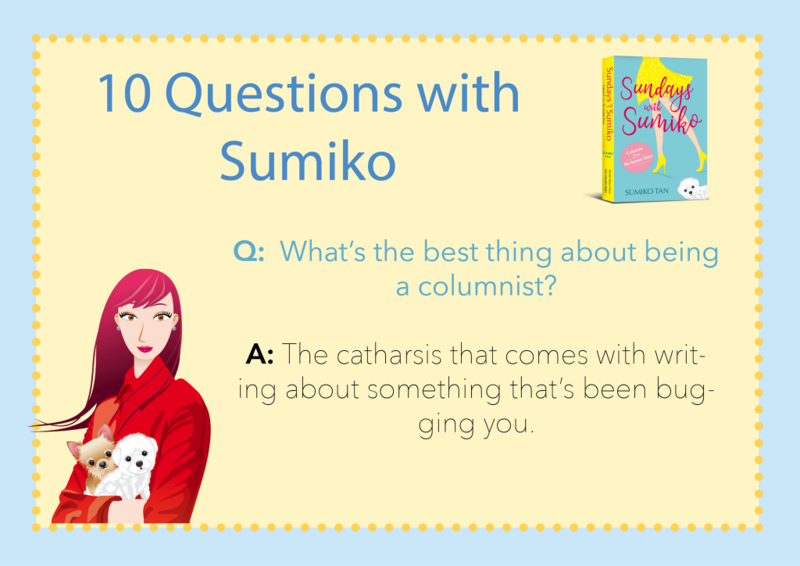 If you’re undecided on whether to shell out $29.95 for 74 columns, we have some examples of the sterling work Ms Tan in our story on 10 Sumiko Tan articles that are the pinnacle of Singapore journalism. And the best thing about being a newspaper editor and having a book? Getting to have that book advertised in the newspaper that you work at! 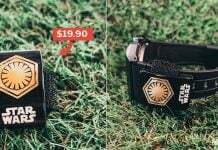 If you thought that small ad was the only plug in The Straits Times for the book, you’ve underestimated the newspaper’s stunning ability for self-promotion. 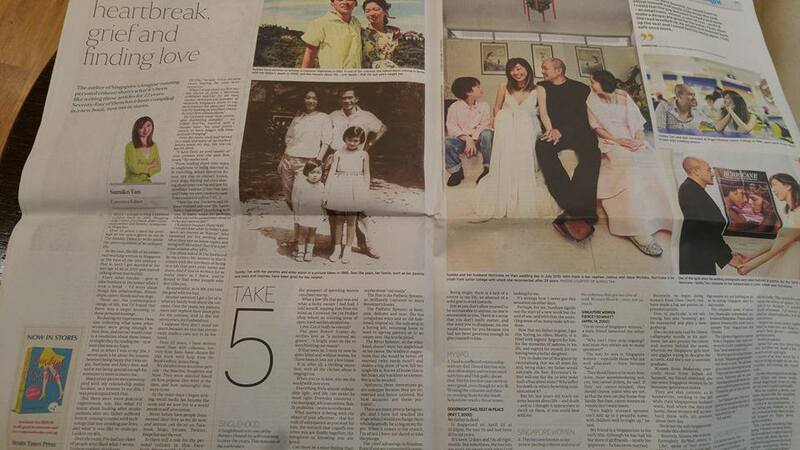 Perhaps to make up for the fact that her column has been on hiatus for months, The Sunday Times did a 2-page spread on Sunday (July 9) on Ms Tan, written of course by Ms Tan. It’s like all her columns that we have missed, combined in one massive 2-page long overshare! 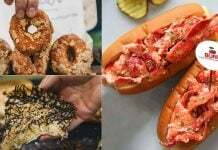 If you’re too lazy to pick up a copy of The Sunday Times just to read a 2-page spread, here’s the online version of that article. 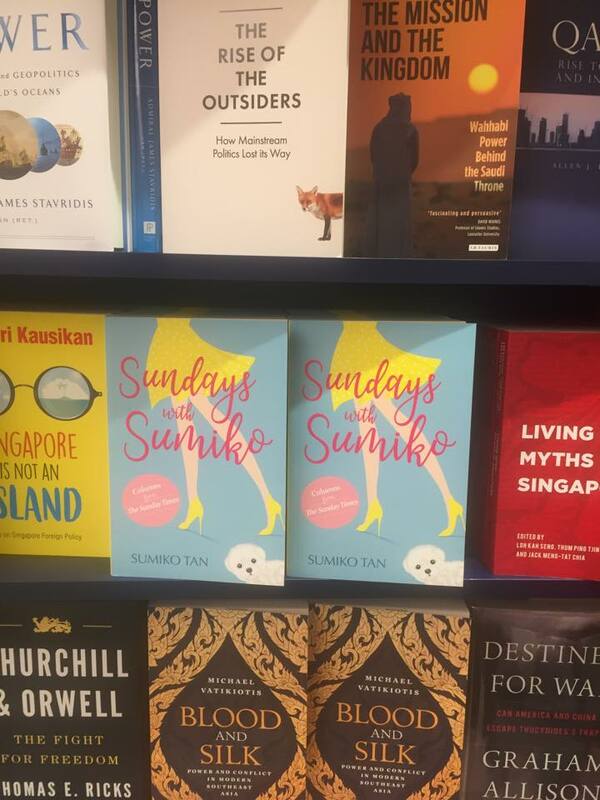 Despite all the promotion in The Straits Times, there might have been the feeling that the book needs even more promotion. 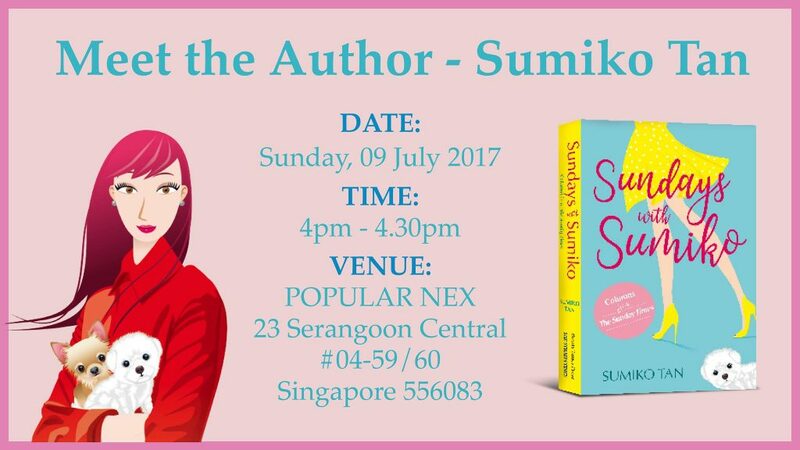 Thus, Popular Bookshop is holding a Meet The Author session on Sunday (July 9), where fans can actually get up close and personal with Ms Tan! Maybe aspiring bloggers can perhaps get some pointers from Singapore’s original influencer on getting paid to write about your first-world problems. 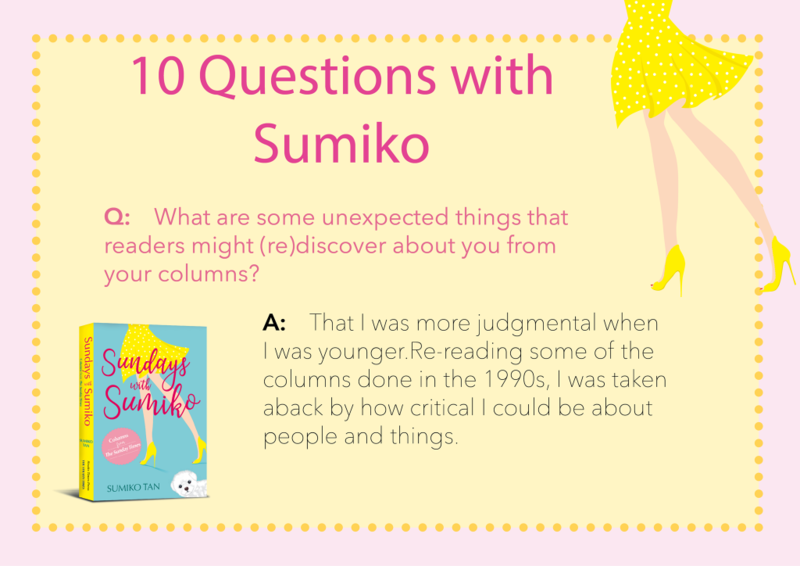 And, on the event page of this not-to-be-missed event, Popular has seemingly read our minds — the bookstore decided to pick her brains on what’s it’s like to be Sumiko Tan by turning the tables on her. Like the good and loyal SPH servant that she is, Ms Tan couldn’t resist plugging The Sunday Times when asked what she likes to do on Sunday. She even tried to save the entire flagging newspaper industry by describing the lovely “feeling” of a print newspaper and the “sigh of ink” on her fingers. But the humble Ms Tan stopped short of saying that an ideal Sunday includes, of course, reading her column. Ah yes, writing a column is stress relief for Ms Tan. But how about the stress that readers feel upon reading about her problems? After all, we don’t have the release of writing a column in Singapore’s national newspaper. As esteemed as Ms Tan is in the media industry, we can’t forget that she is still a human being. 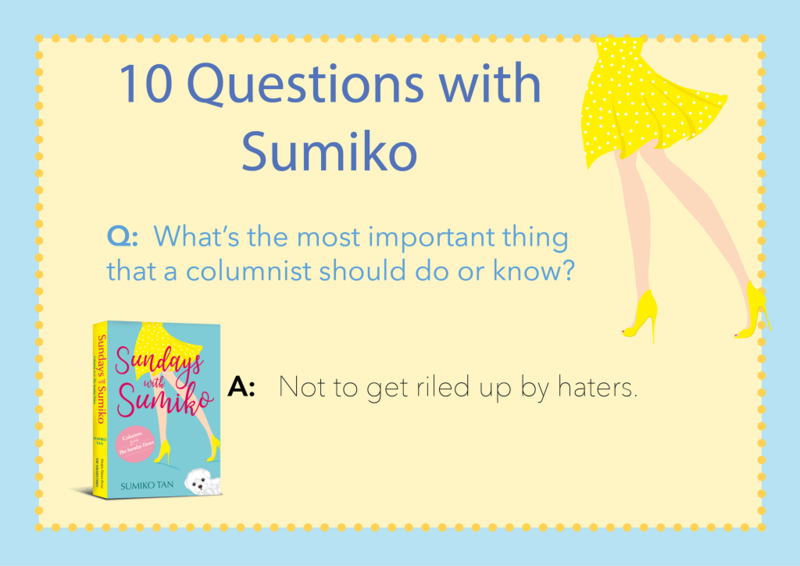 And she does get haters, which we’re sure must have affected her initially. But we applaud her for not letting the haters get to her — after all, they must be harder to avoid than zombies in The Walking Dead. Here’s where Ms Tan underestimates the glamourousness of her life. 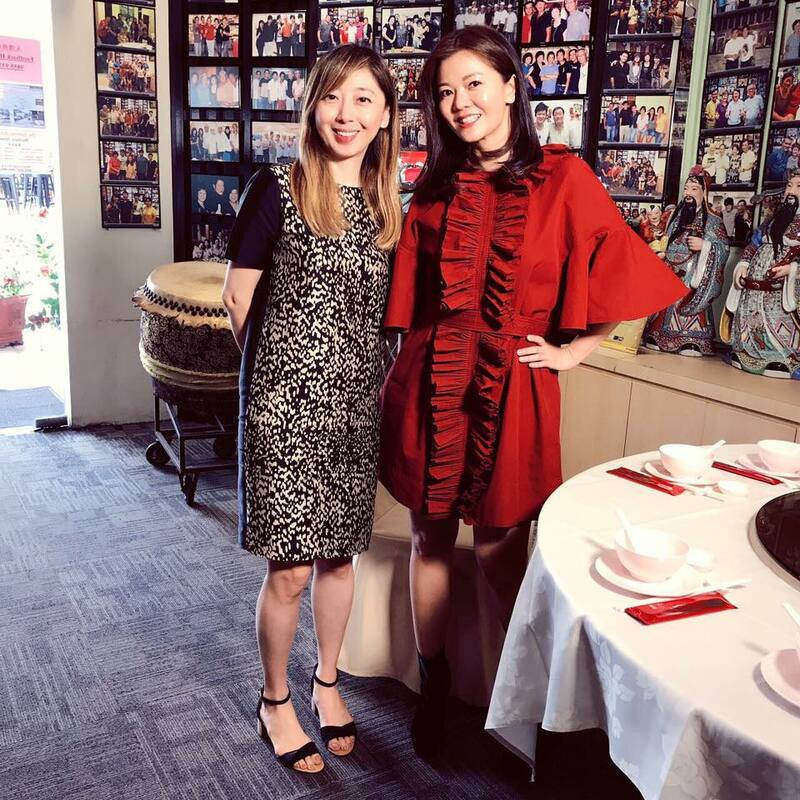 After all, as the face of our national newspaper, she’s interviewed such luminaries as award-winning director and actress Michelle Chong. 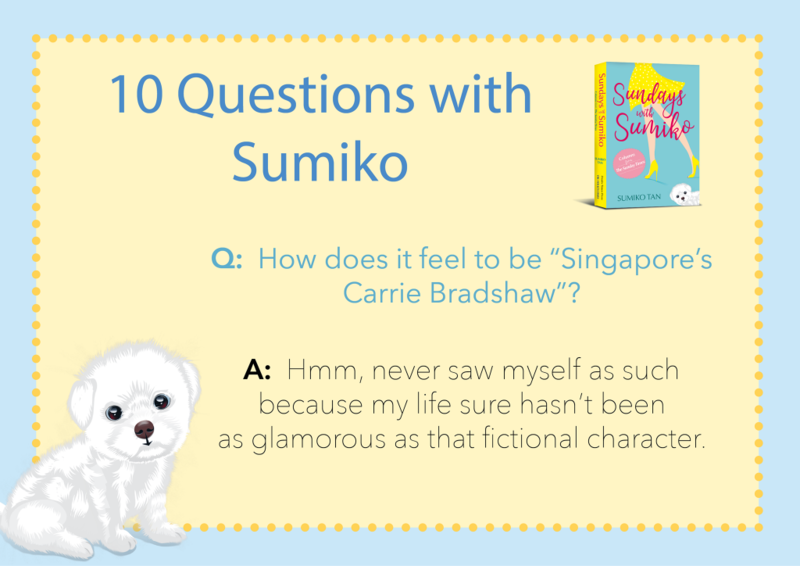 We don’t think Carrie Bradshaw ever met anyone so famous, considering she’s just a fictional character. 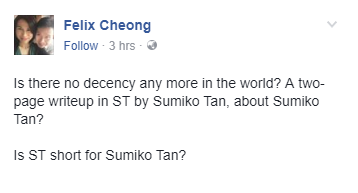 We think Straits Times journalists who have worked under her may probably beg to differ when she implies that she’s less judgmental now. Whether you’re a fan of Ms Tan or not, she’s still a legendary figure in Singapore’s literary lore, and can be said to be ahead of her time — she’s the woman who predated self-indulgent bloggers and influencers. We sincerely urge you to pick up her book if you have a spare $29.96, if only to find out what’s her secret to entrancing the nation with questions like whether she should get an oven or scintillating stories about playing Pokemon Go.